Thank you to Sundrop Jewelry for sending me these beautiful earrings. As always, all opinions are my own. I’m always looking for beautiful jewelry to add to my collection, and when I came across Sundrop Jewelry this year I fell in love with the new Doodles Collection! These stunning pieces are made from recycled Argentium silver so they’re very eco-friendly. 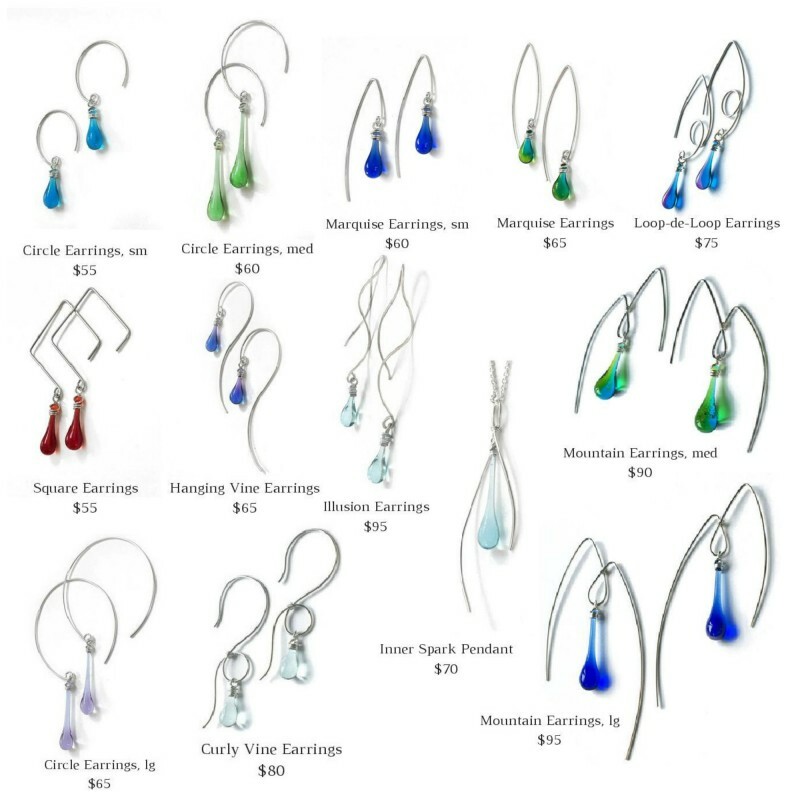 The glass featured in the earrings and pendant necklaces are sun-melted and come in a huge variety of gorgeous colors. 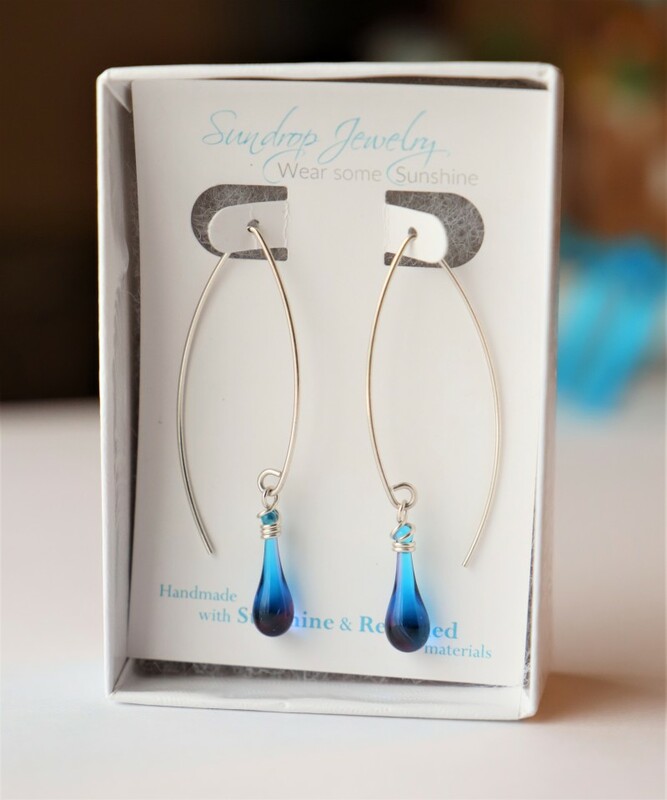 I’ve partnered with Sundrop Jewelry to share some of my favorite earrings from the Doodles Collection! Artist Tawny Reynolds is a true master of her craft. She melts down glass bottles to create the gorgeous pieces offered at Sundrop Jewelry. 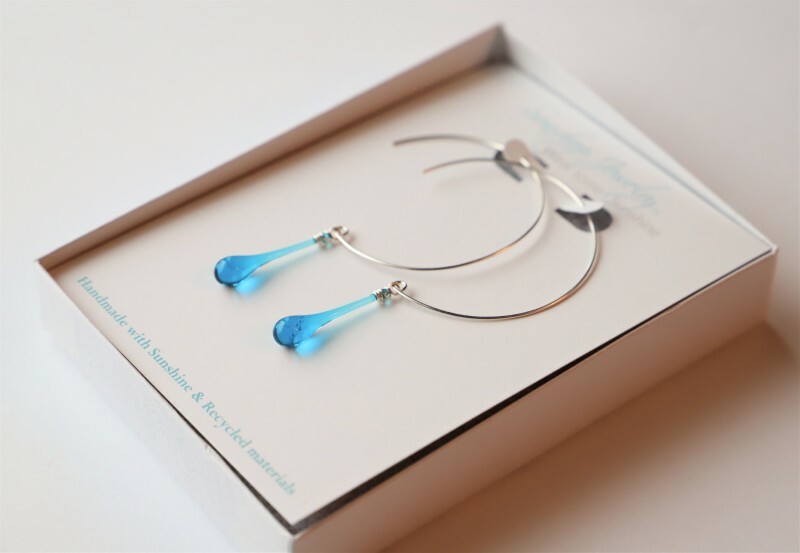 Using a three foot magnifying glass, she focuses the sunlight on glass bottles to melt into the droplets used in her jewelry and then wraps them in recycled sterling silver wire. No two pieces are exactly the same, though she does a wonderful job matching droplets for earring sets. Check out this video showing the process! While I don’t wear a lot of necklaces (I have an overzealous three year old who loves to pull them too hard!) I do love earrings and couldn’t wait to add some of Tawny’s pieces to my collection. 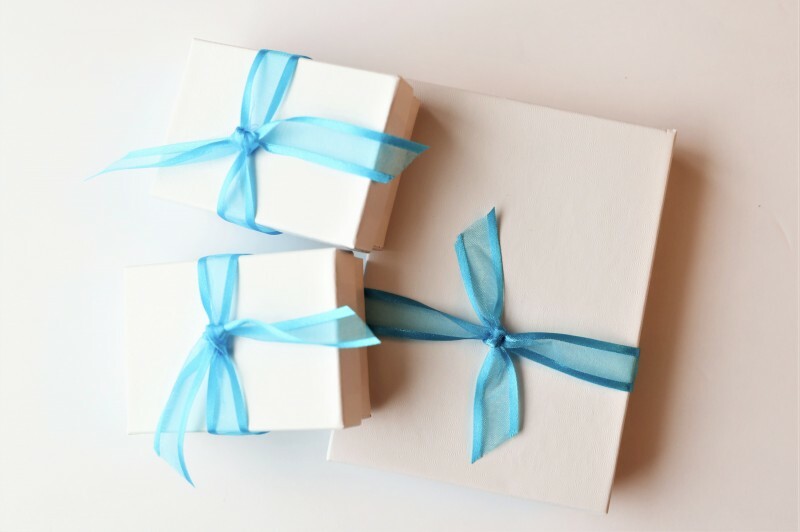 The earrings all came beautifully packaged with a card printed on recycled paper sharing about Sundrop Jewelry. These boxes are perfect for gifts and would make a stunning present or stocking stuffer for the holidays this year. The first set of earrings I chose were these stunning Illusion Earrings. 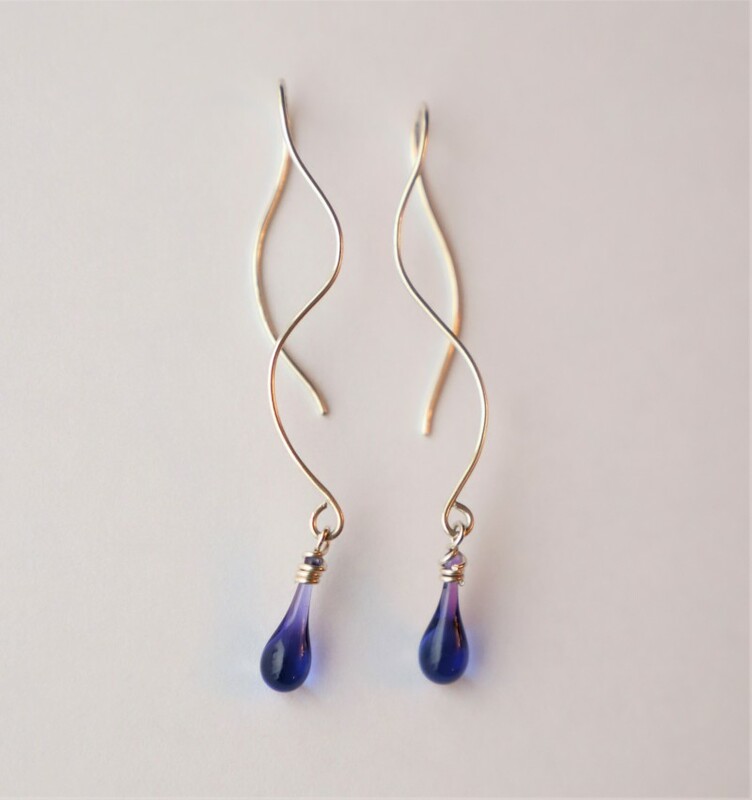 When you see these earrings head-on, you can really appreciate the inverted curves of the silver that seem to cross each other like an optical illusion. 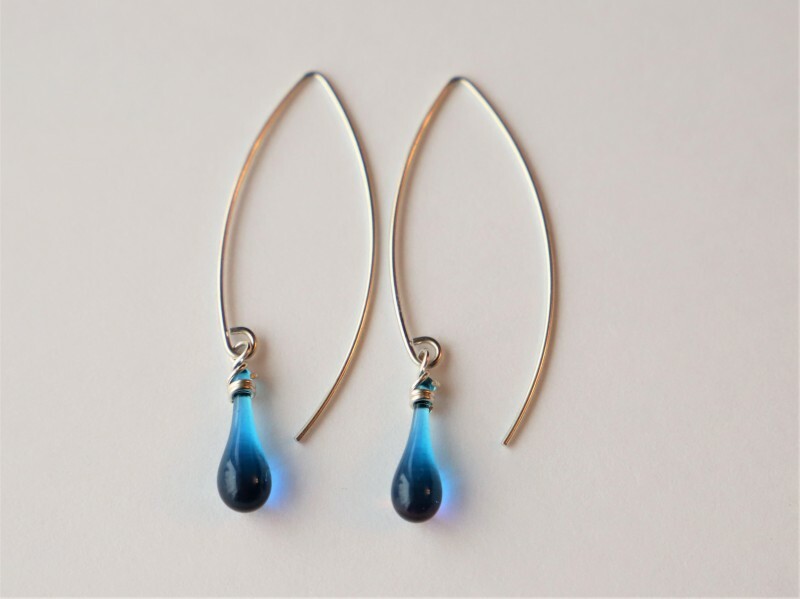 At 2.5″ long with the glass droplets, they’re truly beautiful and available in a variety of colors. Plus, the silver is hypoallergenic and nickel-free which is great for me because I’m allergic to nickel. They’re extremely lightweight, too! The second earrings I chose are the Marquise Earrings in large. I love the simple elegance of these earrings, and the precision to detail is just amazing. The Argentium sterling silver is naturally tarnish-resistant so you don’t have to worry about maintaining your earrings. These are also super lightweight and even more gorgeous in person! The final pair of earrings I chose are the Circle Earrings in large. These are also available in a huge variety of colors and small or medium sizes as well. A single teardrop of sun-melted glass dangles from a delicate circle of silver. The curvature of these chic semi-circles continues right through your earlobe, completing the stylish arc. I absolutely love these earrings! You can see some of the Doodles Collection here and more (plus other collections!) on the Sundrop Jewelry website. Win it: Win a pair of earrings from the three I featured above: Illusion Earrings, Large Marquise Earrings, or Large Circle Earrings! This is a US giveaway ending 12/17. Good luck! So beautiful. I loved watching the videos of how these are made with just the sun focused and melting the glass. I’ll take the Illusion Earrings, thanks. Pretty amazing that they are recycle and eco-friendly. You would never have guessed. Those drops all have such beautiful colors! The colors to these are really pretty and pure looking, not cloudy. You would never know they are recycled materials. I would have loved to have these a few years back when I could still wear dangled earrings. 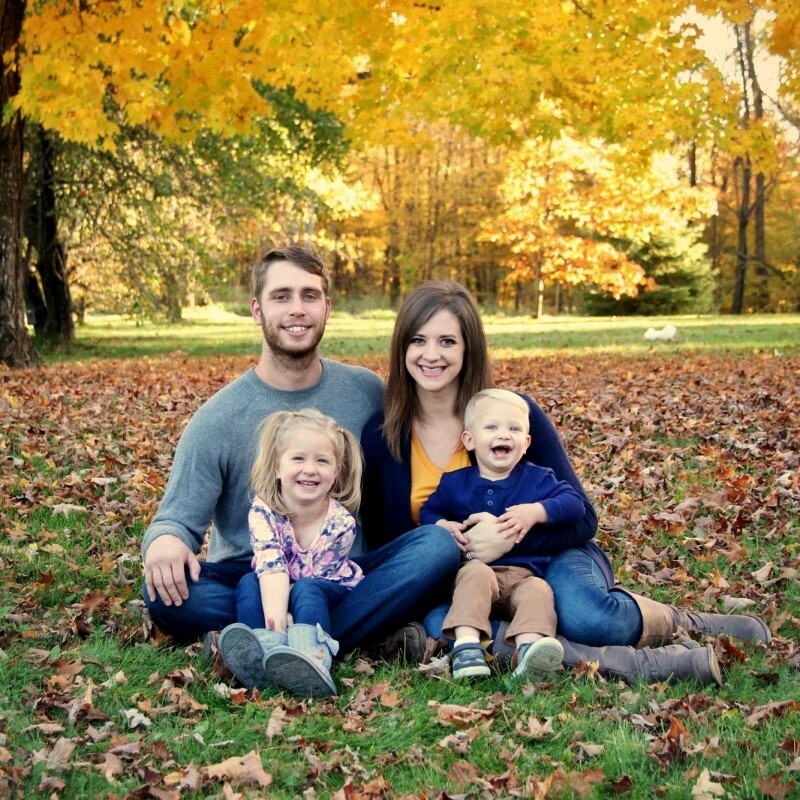 Thank you so much for such a wonderful review, Amber! I can’t wait to see who the lucky winner is and what they choose! These are so gorgeous, I love how elegant they look and the fact that they are lightweight! I like to wear one of a kind jewelry. These are so elegant.